In short-term clinical trials, monosodium glutamate (MSG) didn’t cause ill effects when consumed in moderation and with food, and even high doses of MSG in isolation (3 grams or more) caused only mild, short-term ill effects. Our evidence-based analysis on creatine features 63 unique references to scientific papers. Monosodium glutamate (MSG) is composed of sodium and glutamate. Sodium is an essential mineral, whereas glutamate is a naturally occurring amino acid, abundant in your body and in many foods, such as seaweed, tomatoes, potatoes, mushrooms, soy sauce, and parmesan cheese, to name a few. Most animal protein is 11–22% glutamate, whereas plant protein can be upward of 40% glutamate. The FDA estimates that, in the US, the average adult consumes 13 g of glutamate per day from food sources and about 0.55 g from added MSG. By contrast, in some Asian countries, the average adult consumes at least 2.2 g of added MSG. Your body also produces glutamate where this amino acid can act as a neurotransmitter. Glutamate is the most abundant free amino acid in your brain and the most common neurotransmitter in your body. MSG is composed of sodium (a mineral) and glutamate (an amino acid). Glutamate is found in many foods, especially those rich in protein. 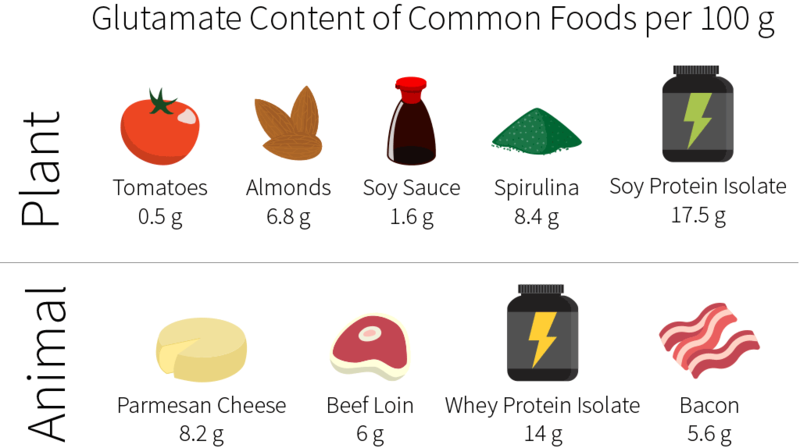 As a rule, there is a higher proportion of glutamate in vegetal protein than in animal protein. Your body produces glutamate where this amino acid can act as a neurotransmitter. There are five basic tastes: bitter, sweet, salty, sour, and savory. The savory taste is also called umami (a Japanese word). MSG makes savory foods more enjoyable, and foods with added MSG have been described as having a more “meaty” taste. People who have a taste preference for protein or who are repeatedly exposed to MSG appear more receptive to MSG’s umami-enhancing effect. 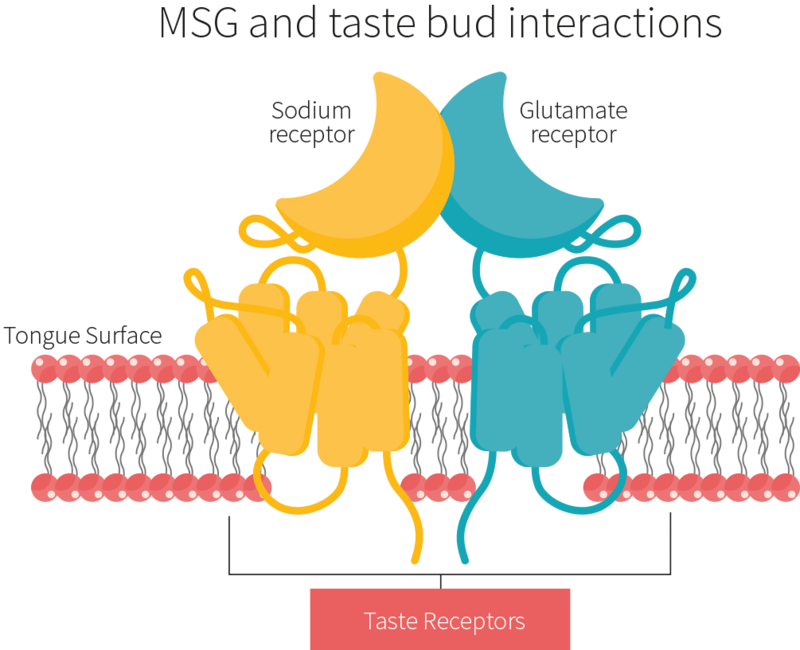 MSG may be one of the strongest stimulators of salivation (a harmless effect). The way it enhances umami is probably by acting on specific glutamate taste receptors on the tongue. It should be noted that, while glutamate is found abundantly in many protein foods, it enhances umami only when free, not when bound to other amino acids. By stimulating glutamate taste receptors on the tongue, MSG enhances the savory taste (known as umami) and causes foods to elicit a “meatier” flavor. Concern over MSG began to take hold after a US medical doctor wrote to the New England Journal of Medicine in April of 1968.. In his letter, Dr. Kwok described what he called “Chinese-Restaurant Syndrome”: a “numbness at the back of the neck, gradually radiating to both arms and the back, and general weakness and palpitation”. He went on to speculate that his symptoms might have been caused by the cooking wine, the high sodium content, or the MSG seasoning, but it was MSG that was latched onto as the likely culprit, and a new food fear was born. Today, we have 50 years of research to help us answer the questions about MSG safety, though it should be noted that some studies were funded by the International Technical Glutamate Committee, whose aim is notably to “promote the uses of glutamates as food ingredients”. Many fears over MSG stem from sensationalized reporting of alarming effects seen in animal studies. For example, the idea that MSG might be a neurotoxin was inspired by early animal trials such as one that noticed brain damage in mice fed glutamate. But these mice were fed extremely high doses that do not reflect human consumption. Another study, performed on rhesus monkeys, saw acute cell death of brain neurons when the animals were injected with very high doses of MSG. However, glutamate ingested orally does not readily cross the blood-brain barrier — a necessary step for MSG to harm the neurons in your brain. MSG’s potential effects on weight are another popular concern born out of animal research. A common animal model used in obesity research is the MSG-obese (or glutamate-obese) rat model. In this model, infant rats have MSG injected into their brains, damaging the brain tissues and thus causing an increase in food intake. Animal studies show that high doses of MSG, ingested or injected, can damage brain tissues, but that scenario does not reflect real-life human consumption. Does MSG affect food intake or body weight? Although animal studies used high doses that do not reflect human consumption, still they raise some questions about MSG’s health effects. So, what do studies performed in humans tell us? Most studies on MSG’s effects on food intake have been short-term trials, lasting less than 24 hours and typically less than 12. In the more common type of short-term trials, the participants are randomized into two groups and fed a pre-meal (often a low-calorie soup). The intervention group receives a pre-meal with MSG, while the placebo group receives a pre-meal without MSG. Then both groups receive the same meal, and how much each participant eats gets recorded. In the less common type of short-term trials, the participants are also randomized into two groups, but they are not fed a pre-meal. Instead, the intervention group receives a meal with MSG, while the placebo group receives the same meal without MSG, and how much each participant eats gets recorded. The vast majority of short-term trials, of either type, showed no difference in caloric intake between the intervention group (MSG) and the placebo group (no MSG). One trial did note that MSG increased food intake by 152 kcal. However, a later trial noted that MSG decreased food intake by about 300 kcal. In the vast majority of short-term trials (less than 24 hours), MSG did not affect caloric intake. Only a few long-term MSG-feeding studies have been conducted, with mixed results. Three studies found no association between MSG and weight gain. The first of those studies was a case series that supplemented 17 males with ≈120 g of glutamate per day. Each case lasted anywhere from 2 to 6 weeks (≈3.3 weeks on average). The study reported no adverse symptoms and no significant changes in body weight. The second of those studies was a single-blind randomized intervention in a nursing home (where food intake is easily measured). After 16 weeks, 300 mg of added MSG daily was not associated with an increase in food intake or body weight. The third of those studies was a single-arm pre-post test in hospitalized elderly patients; it noted no change in body weight or caloric intake over 2 months. The results of those last two studies was disheartening, since undernutrition is a concern among the elderly. But two other studies in the elderly reported some benefits from MSG. The first of those studies, a 12-meal single-blind placebo-controlled trial, noted a minor increase in total calories in the group served MSG-added foods (0.6% MSG). The second of those studies, a 17-week randomized placebo-controlled trial, noted a 1.1 kg (2.4 lb) weight increase in the group served MSG-added foods (300 mg of MSG per meal). Interestingly, those two studies suggested that MSG might only increase food intake when added to foods that already possess savory properties. Evidence is scarce, but long-term studies reported that MSG had no effect on food intake or body weight, except maybe a small one in the elderly. In total, five observational studies have investigated the relationship between MSG consumption and body weight: two longitudinal studies and three cross-sectional studies. All were conducted in Asia (in either Vietnam, China, or Thailand). Of the two longitudinal studies, one linked MSG to weight gain, and one did not. Of the three cross-sectional studies (lower-quality observational studies that collect data at a single point in time), two linked MSG to weight gain, and one did not. Of the five observational studies, three linked MSG to modest weight gains, and two linked MSG to no weight change. Two recent reviews of human and animal studies parsed the evidence for MSG-induced obesity. The first review, published in 2014, concluded that “controlled intervention studies adding MSG to the diet of animals and humans show no effect on body weight” and that “normal dietary MSG use is unlikely to influence energy intake, body weight or fat metabolism”. The second review took the shape of a 2017 report from the European Food Safety Authority (EFSA) reevaluating the safety of glutamate-based food additives. It too concluded that MSG was unlikely to have a clinically meaningful effect on body weight. Most short-term trials found no association between MSG and food intake. Likewise, the two long-term trials found no association between MSG and food intake or body weight. Out of five observational studies, three associated MSG to weight gain, but two found no such association. Animal studies also indicate that MSG has minimal effects on body weight, except when injected at extremely high doses. A recent systematic review analyzed separately two groups of five studies: one group gathered studies where MSG was administered with food; the other group gathered studies where MSG was administered alone. Particular attention was given to the studies’ blinding integrity, which is both necessary (MSG having a bad reputation) and difficult to ensure (MSG having unique taste properties). Many studies try to mimic the taste of MSG with table salt or inosine monophosphate-5, another umami flavoring, but when MSG exceeds 1.3% concentration (in liquids), its taste becomes too distinctive. Of the five short-term “MSG with food” trials, three were found to be adequately blinded. Of those three, none saw any significant differences in headache incidence between groups: across all studies, totaling 170 participants, 12 headaches were reported in the placebo groups, 4 in the 1.5 g MSG group, and 2 in the ≥3 g MSG groups. The other two short-term “MSG with food” trials might not have been adequately blinded, since both used a beef broth with a 2% MSG concentration (remember that when MSG exceeds 1.3% concentration in liquids, its taste becomes too distinctive to ignore). The first trial (24 participants) found no significant difference between groups (1 headache in the placebo group, 2 in the MSG group). The second trial (38 males, 35 females) found no significant difference among males (1 headache in the placebo group, 2 in the MSG group), but it did find one among females (1 headache in the placebo group, 6 in the MSG group). Of interest is that headaches are more common in females than in males. According to the majority of short-term “MSG with food” trials, ≤3.15 g of MSG does not induce headaches. One trial, with potentially inadequate blinding, indicated that a subgroup of females might experience MSG-induced headaches when consuming liquids containing ≥2% of MSG. In the five “MSG with food” trials discussed in the previous section, all participants were healthy. In the five “MSG without food” trials discussed below, all participants were healthy, too, but 60% self-identified as MSG sensitive. One trial was a double-blind, placebo-controlled, multiple-challenge evaluation. Each of its 130 self-reported MSG-sensitive volunteers drank, on separate days, a placebo and a beverage containing 5 g of MSG. The participants who reported adverse events from the MSG beverage were given three more MSG challenges to see if their symptoms could be replicated. The results suggest that high-dose MSG might cause mild, temporary ill effects (headaches, migraines, flushing, sweating, numbness-tingling, muscle tightness, and/or general weakness) However, none of the participants who initially responded adversely to MSG (but not placebo) were able to reliably reproduce their symptoms in the 3rd and 4th rounds of testing. Two other repeated-challenge studies have been conducted. The first reported no significant difference in either MSG challenge, even with MSG doses of 8 and 12 g. The second reported no significant difference in headache incidence between the placebo group and the MSG group (5 g of MSG) during the initial challenge, but recorded significantly more headaches during the follow-up challenge when the MSG dose was ≥2.5 g. It should be noted that only the participants who had reported a reaction during the initial challenge (be it from MSG or placebo) took the follow-up challenge, and that each participant received four successive doses, up to two hours apart: placebo, 1.25 g, 2.5 g, and 5 g of MSG. There were also two singe-challenge MSG trials. The first saw a significant headache increase with a 150 mg/kg dose (10.3 g of MSG for a 150 lb person). The second saw a significant headache increase with a 75 mg/kg dose, but, curiously, not with a 150 mg/kg dose. When consumed without food, MSG may increase the incidence of ill effects, notably headaches. However, the negative effects and dose-response are inconsistent both across and within the studies. High doses of MSG (≥2.5 g) consumed via beverage over a short period of time might induce headaches, more so in females. This effect, however, is not reliably reproduced — neither in repeated-challenge studies nor in dose-response studies. Importantly, no headaches were reported when MSG was consumed with solid foods, probably because the increased transit time drastically decreases peak glutamate concentrations. 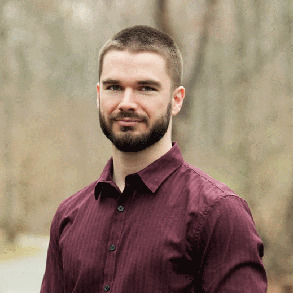 Of the few well-conducted studies testing the relationship between MSG and hives, three performed either single- or double-blind placebo-controlled challenges. The first study was a single-blind placebo-controlled trial of various food additives. Nineteen adults received a placebo and were also tested with increasing MSG doses (1, 10, 100, and 200 mg). None of the participants reacted to the placebo, whereas four reacted to the MSG, but it should be noted that no attempt had been made to mask the taste of the MSG and that all participants had been instructed to stop taking their antihistamines 14 days before the experiment. The second study was a double-blind placebo-controlled multiple-challenge crossover trial of various food additives. When given MSG capsules, 3 of the 36 children reacted. However, the mere 4-hour interval break between challenges with different food additives may have provided an inadequate washout period. The third study, a single-blind placebo-controlled challenge, gave 2.5 g of MSG to 65 patients with chronic urticaria. Prior to the challenge, their antihistamine medication was taken down to the lowest dose needed to manage their condition. Two patients seemed to react to MSG exposure and were subsequently re-tested 2 weeks later in a double-blind placebo-controlled challenge. Neither patient experienced symptoms from the second challenge. Out of three placebo-controlled challenges, one was not able to replicate symptoms with repeated MSG exposures, whereas the other two (which had significant limitations) reported a low incidence of MSG reactions. At present, there are no clinical trials investigating the effects of MSG on allergic rhinitis. All we have are two case studies, each composed of two double-blind placebo-controlled challenges (each challenge taking place on a different day). In the first study, 100 mg of MSG was able to reliably induce rhinitis symptoms in one of the two participants. In the second study, 100 mg of MSG was able to reliably induce rhinitis symptoms in the only participant. Very preliminary data indicate that MSG might exacerbate allergic rhinitis. However, it’s too early to draw any firm conclusions. Only two randomized controlled trials have tested the relationship between MSG and asthma. Combined, the two trials enrolled 24 adults and used MSG dosages of 1 g, 5 g, and 25 mg/kg (1.7 g for a 150 lb person). There were no statistically significant differences between MSG and placebo for any of the outcomes measured. An observational study of Chinese adults also found no association between MSG and asthma. More recently, in 2017, an EFSA review concluded that the available data “did not provide conclusive evidence that MSG exposure is causally linked with elicitation of asthma attacks in the general population”. Studies to date have not found MSG to cause asthma or trigger attacks. People often report general adverse symptoms following MSG consumption. A review examined those potential side effects in observational studies and clinical intervention trials. Parsing the observational data, the review found MSG-related adverse effects to be either rare or inexistent. Within the clinical-trial data, double-blind placebo-controlled challenges suggest that, when consumed without food by self-reported MSG-sensitive people, a large single dose of MSG (≈3.0+ g) might induce more symptoms than does placebo. The symptoms reported did not persist, however, and none were categorized as serious. In studies that did repeated MSG challenges, the adverse responses could not be reliably reproduced. Taken without food, a single large dose of MSG (≈3.0+ g) may cause mild, temporary adverse symptoms. Most of the data indicate that, taken with food or at lower doses, MSG does not cause adverse symptoms. For all the flak it receives, MSG may have some indirect health benefits. MSG contains 61% less sodium than table salt. One study found that partially swapping table salt for MSG could reduce the sodium content of a soup by 32% without negatively affecting its taste. A review mentions the above study with several others that have also used MSG to preserve taste while reducing sodium in soups, stocks, seasonings, instant noodle products, meats, and snacks like chips and nuts.. Taste was best preserved when salt was only partially replaced with MSG. You can swap some salt for MSG to reduce the sodium content of a dish without negatively affecting its taste. As you reach 60, your senses of taste and smell can begin to decline, which may lead to reduced appetite. This problem may be compounded by an age-related decrease in salivation — a decrease that makes chewing and swallowing more difficult. MSG has been shown to improve both flavor and salivary flow. As we saw earlier, four studies looked at the effect of MSG on food intake and body weight in older people. Two of those studies saw no effect. The other two saw modest increases in food intake and body weight, and thus improvements in nutritional status and quality of life. Interestingly, these two studies indicated that MSG’s effect on food intake in the elderly might depend on which foods MSG is added to. Namely, adding MSG to savory foods may lead to greater increases in food intake than adding MSG to bitter, sweet, salty, or sour foods. Adding MSG to dishes overall does not reliably increase food intake. However, adding MSG to foods that are already savory may increase their consumption by the elderly. Injecting MSG is unsafe. Especially directly into the brain. Don’t do this. Most studies that reported ill effects from MSG had administered large doses (≥3 g) without food over a short period of time, and even then, the ill effects were mild and temporary. Such doses would be hard to reach by eating foods with added MSG in a real-world setting (and it’s very unlikely you would swallow such high doses without food). Please note, however, that some studies were funded by the International Technical Glutamate Committee, whose aim is notably to “promote the uses of glutamates as food ingredients”. There is a lack of trial evidence indicating a detrimental effect of MSG for the general population, and some evidence suggests potential benefits for elderly people with appetite issues.